I came to work early today to catch the Nobel Prize in Physics announcement. 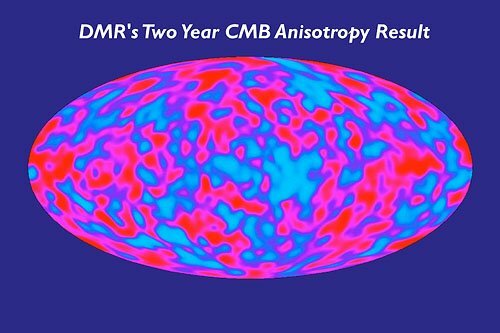 It went to John Mather and George Smoot for their work on the Cosmic Background Explorer (COBE), which provided a map of the universe just after the Big Bang. You can read more in the Wikinews entry I posted this morning. This one comes as no surprise to Nobel Prize watchers. COBE researchers have been short list favorites for years now. In case anyone noticed my 2006 Nobel prediction . . . I was wrong. But so were those Science Citation folks at Thomson Scientific publishing. My friend Davide Castelvecchi, however made the right call last week! I have the email to prove it. Good job, Davide!